I’ll admit it, last month’s report on the Civic was a bit of a moan-fest. I think that infernal infotainment system must’ve got on my nerves one too many times, and made me feel the need to vent my frustrations. Truth is, there’s a lot about this car that’s really, really good, so it’s now time to redress the balance. This is a really good car to drive. It’s not the sportiest offering of its type, nor the most luxurious, but it provides a really good balance of both abilities. The suspension has enough compliance to deal with the majority of lumps and bumps without any fuss, but enough firmness to keep body movements tightly controlled in bends. The car feels light, too, mainly because it is, and this also helps it feel agile and alert. So do the controls, which are all really responsive. The steering, for instance, is nicely weighted and consistent in its behaviour, and it even offers decent feedback on what the front wheels are up to. The pedals are all consistent with each other in their weighting and travel lengths, and that also helps deliver a feeling of polish and attention to detail. Throw in the satisfyingly snappy gearshift, and there’s lots of fun to be had. The engine is another massive plus point with this car. 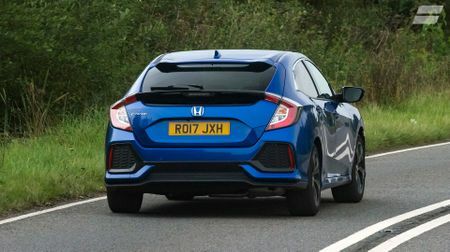 Many folk will think a three-cylinder 1.0-litre petrol engine will be too weedy for a car that’s even half the size of the Civic, turbocharger or no turbocharger, but the performance it delivers is seriously impressive. It’s punchy and eager from absolutely anywhere in the rev range, it’s capable of some seriously fizzy acceleration both away from the mark and on the move, and it always stays quiet and smooth no matter how mercilessly you work it. I’m also loving the generous amount of luxury kit our SR-trimmed car has onboard. The dual-zone climate control means squabbles between myself and the missus over the temperature are a thing of the past, while the adaptive cruise control and the automatic lights and wipers indulge my greatest passion – laziness – on a pretty much daily basis. And, for all its failings in the way it operates, the touch-screen infotainment system does have a lot of functionality that I use the whole time including navigation, DAB, Bluetooth, rear parking camera and Apple CarPlay. It also has internet browsing, but if I’m honest, that’s barely been used. Call me old fashioned, but I like to concentrate when I’m driving, and if the missus needs the help of Google when we’re on the move, it’s easier to just use her phone. I also like the peace of mind the car gives me, and on two fronts. 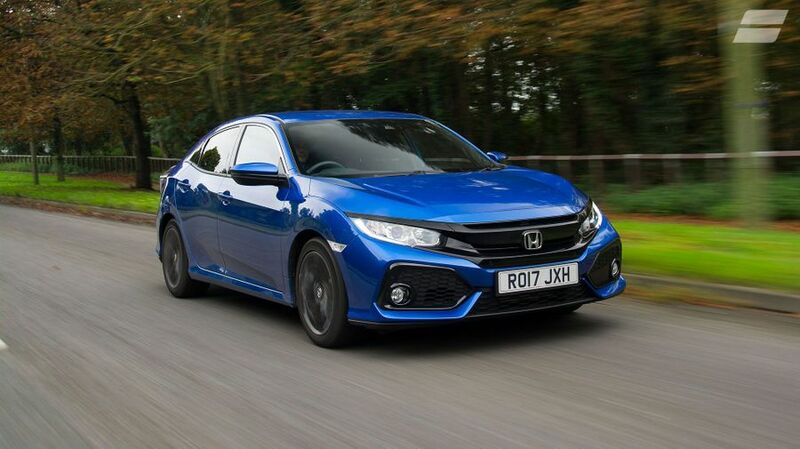 The first is Honda’s impeccable reliability record, which sees the brand on-or-near the top of pretty much every reliability survey going, and is the envy of the motor industry. And the second is that, like all Civics, the car comes stacked with clever, cutting-edge safety kit (including a system that’ll apply the brakes automatically if you fail to react to the hazard warning it gives you) and when the car regularly transports your kids – the most precious cargo there is – the importance of that cannot be overstated.